Papua New Guinea and Japan officially signed Wednesday the exchange of notes on the revised air service agreement between the two countries. Papua New Guinea Foreign Minister Rimbink Pato and his counterpart Japan Foreign Minister Taro Kono officially signed the instruments at the Likura House in Tokyo. 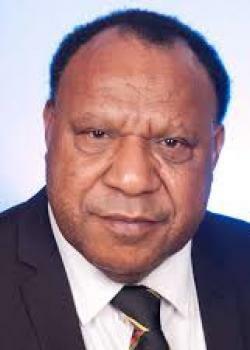 Pato in his address to the media and official dinner delegates said that this was a very important document which will improve trade and investment and the overall relations between PNG and Japan. He said that this will also enable Air Niugini’s service to Japan further enhance and strengthen connectivity between Japan, PNG and the Pacific Island countries. “Air Niugini presently has twice weekly services presently to Narita from Port Moresby,” Pato said. “This third weekly service will result in inclusion of the Federated States of Micronesia (FSM) which means many of our exports particularly tuna from FSM and PNG will have accessibility to the markets of Japan and of course inflow of tourists from Japan through to the rest of the Pacific island countries, particularly at a time like this when we move into a closer cooperation with Japan and Pacific Island nations,” Pato said. “Japan is a very important partner of PNG and of course Japan is the second largest trading partner for PNG after Australia and in the overall partnership, there’s so many issues and challenges that Japan works very closely with Papua New Guinea and together we have an important partnership as we reach out together for PNG. “The signing of the air Services Agreement, the amendments relating thereto will enable our partnership to connect better between ourselves in trade and investment, people to people contract as well as to the rest of the Pacific so I am very well pleased and privileged to be here on behalf of our country, we have been talking to Prime Minister Abe-San and the former Foreign Minister Fumio Kishida-San-when we last met in DA Nang in Vietnam, I am so glad,” Pato said. Japan Foreign Minister Kono on the other hand said: “With the revisit, we hope the number of flights between Japan and PNG will be increased and also strengthen connectivity between Japan and the Pacific Island countries.”.